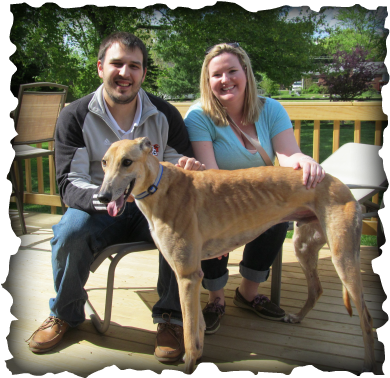 TDS Lance, now known as Calvin was adopted by Kaylen and Eric of Florence, KY. They had been watching the dogs get adopted and wondered who they would get. Turns out Lance was the dog they really fell in love with just by looking at his picture! He will be a greyt companion to this couple and get all the attention he deserves.